The International Safety Training Council (ISTC) is committed to making dangerous workplaces safer for employees as well as the surrounding communities. The organization provides safety training and site-specific job safety orientations for 76 local Refining and Chemical plants in southern Texas. 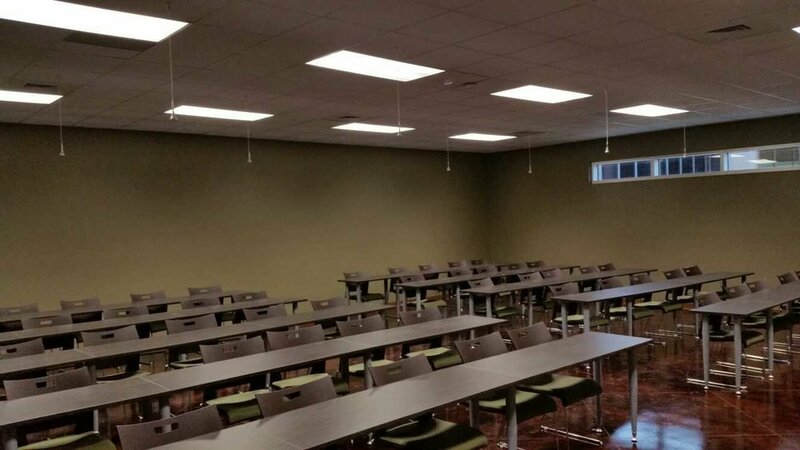 With a new 6,800 square foot facility in Baytown, Texas that features a state-of-the-art, 90-seat lecture theater, the ISTC needed a professional audio conferencing solution for their very detailed safety training sessions. Local integrator Discovery IT Technologies turned to ClearOne (NASDAQ: CLRO), a global provider of audio and visual communication solutions to provide exactly that with their CONVERGE® Pro signal processors and Beamforming Microphone Arrays to provide high quality audio for these important training conferences. “The ISTC training sessions require high levels of audience engagement and are very interactive. We chose ClearOne to provide a solution that not only amplified the lecturer but also guaranteed that questions could be heard and understood by the rest of the audience,” said Adam Fadhli of Discovery IT. Fadhli installed 12 Beamforming Microphone Arrays along with nine CONVERGE Pro audio signal processors to properly handle the precise audio demands of the lecture theater as well as several smaller rooms ISTC also uses for training at the new facility. The ClearOne Beamforming Microphone Array eliminates the need for conventional microphones, solving a common problem in many conference rooms: the removal of clutter in front of participants. The patented technology forms a fixed number of beams and applies acoustic echo cancellation to each beam. Units can be mounted on tables, ceilings, or even underneath video screens. For the ISTC, all microphones were ceiling mounted, allowing student workspaces to be free from technology. Working closely with ClearOne, Discovery IT relied on the support team to ensure the design had the capability to fulfill the ISTC’s requirements. ClearOne was available at each opportunity to make sure the designs were technically sound and compliant, resulting in a successful installation and a satisfied client. “The ClearOne products made the project a success, and what was better, it wasn’t difficult to make the technology work,” Fadhli added. “The installation was completed easily and when we did run into any roadblocks, the team was immediately there to solve the problem. From an integrator’s perspective, it was more of a partnership than simply buying equipment from a manufacturer.